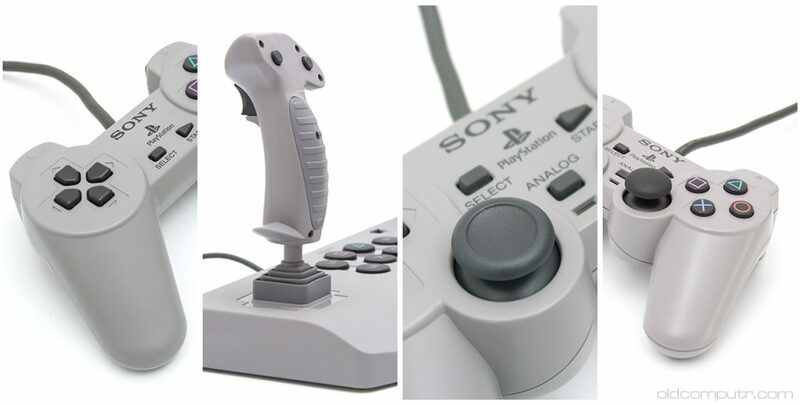 Sony released four controllers for the original PlayStation, presented in this article in chronological order. 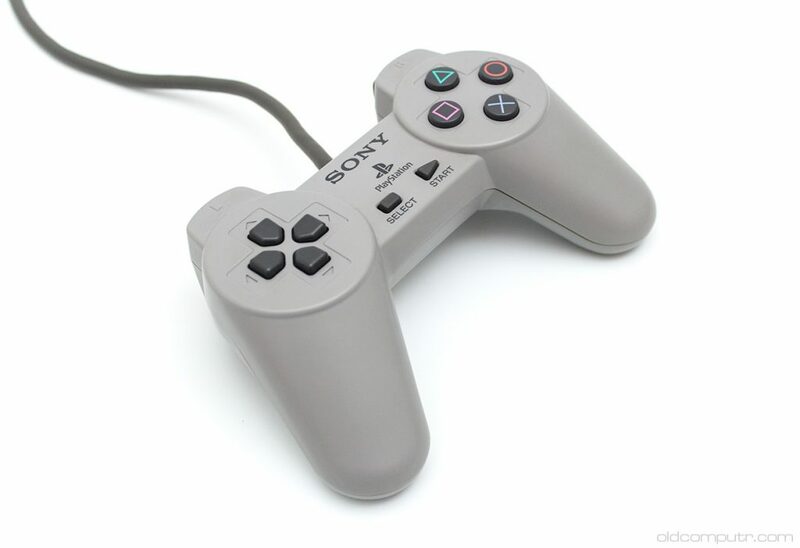 The original Japanese controller (SCPH-1010) released in 1994 was slightly smaller than the US and European models; the one pictured below is the last revision (SCPH-1080) of the European model, released in 1996. 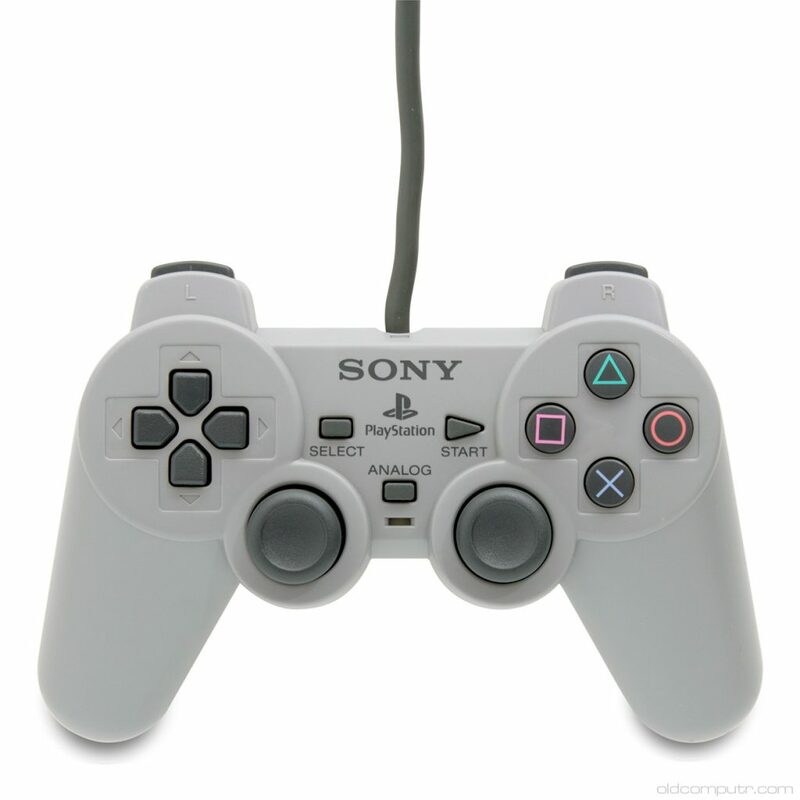 The first PS1 controller to use potentiometers for analog input was the Analog Joystick (SCPH-1110), released in 1996. 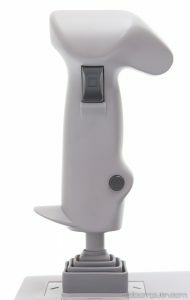 It’s quite big and a bit uncomfortable to use for games that need quick response; it’s best used on arcade flight or driving simulators. 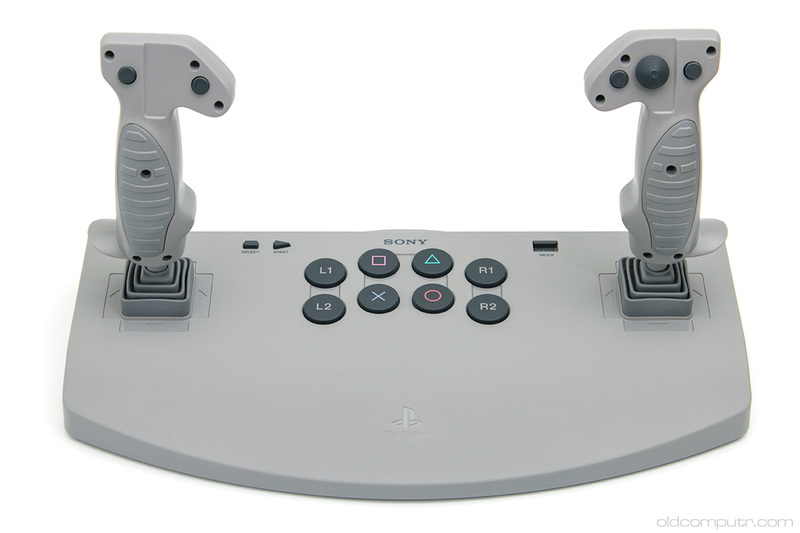 Ace Combat 2 and 3 support this controller, out of a total of about 40 games. The new analog mode could be turned on and off with a dedicated switch; all the original buttons are included, some of them more than once. 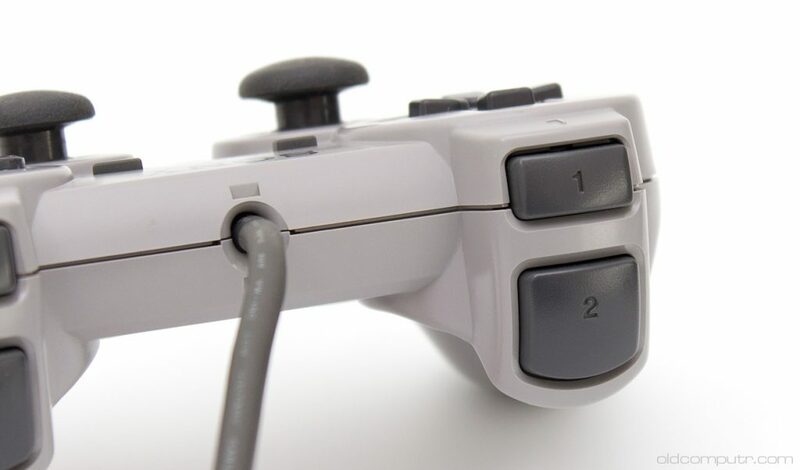 The d-pad is positioned on the right stick. 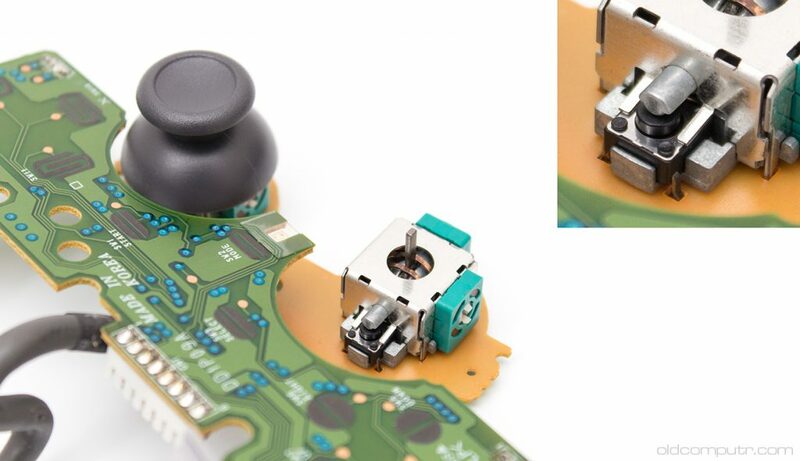 There are two additional buttons on the back of each joystick. 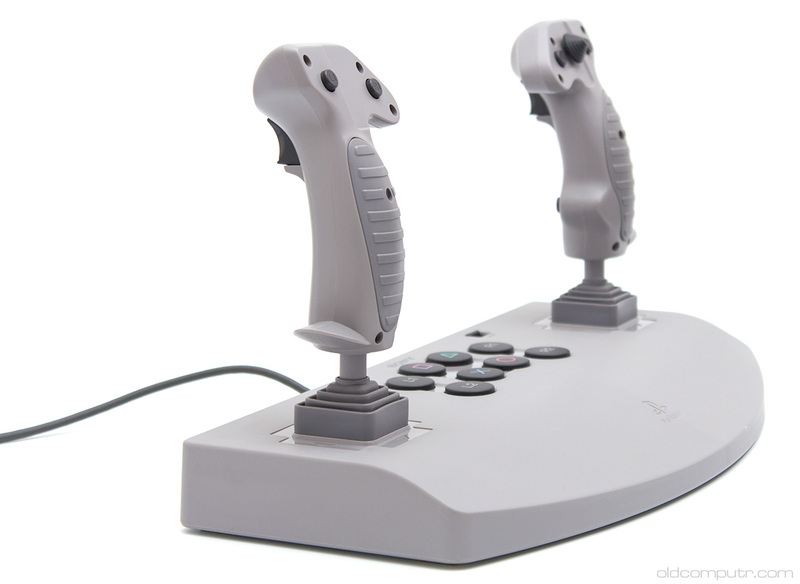 The right stick was almost identical to the PC Joystick QuickShot Skymaster. 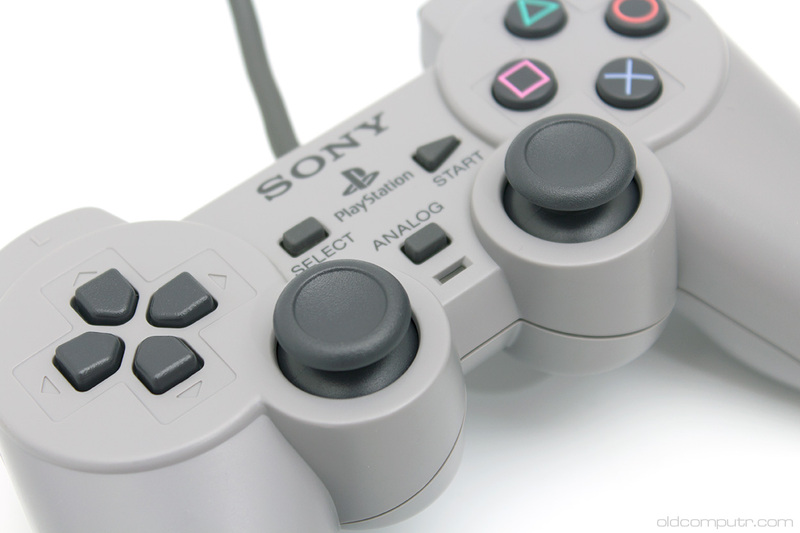 Presented to the public in Japan in April 1997 (SCPH-1150), the Dual Analog controller was available worldwide later the same year (SCPH-1180 in the US and SCPH-1180E in Europe). 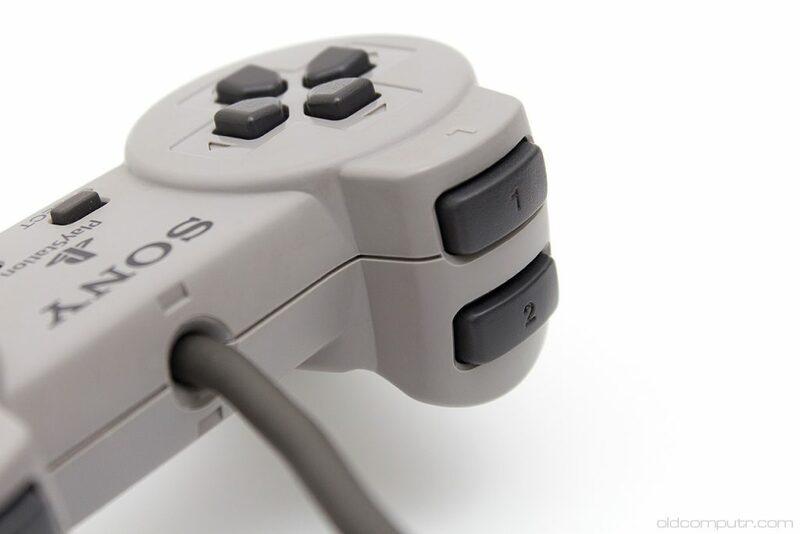 The controller is larger than the original one and the hand grips are longer. 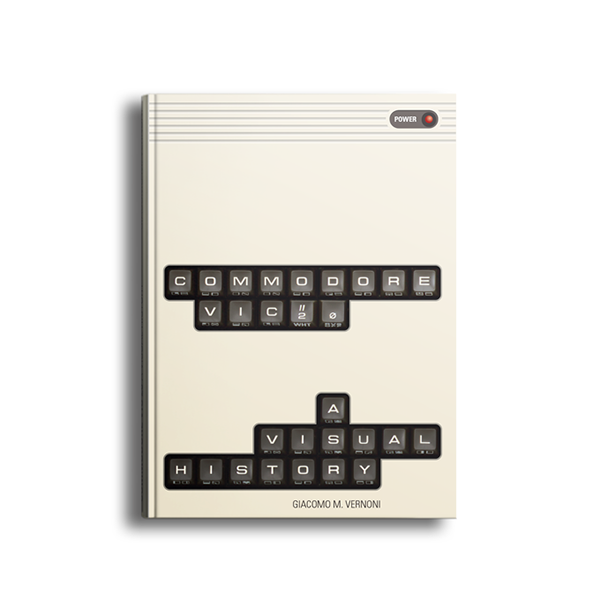 It features a digital mode, an analog mode and an Analog Joystick compatible mode. 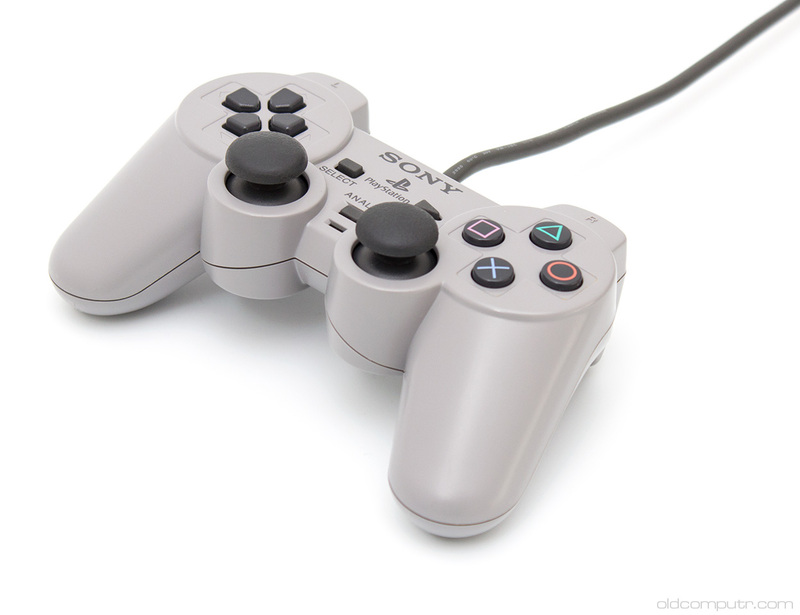 The two analog sticks are concave, and the analog button is raised, not recessed as in the more common DualShock controller. Only the Japanese model had the rumble function. The shoulder buttons are different sizes; L2 and R2 have a ridge on the top. 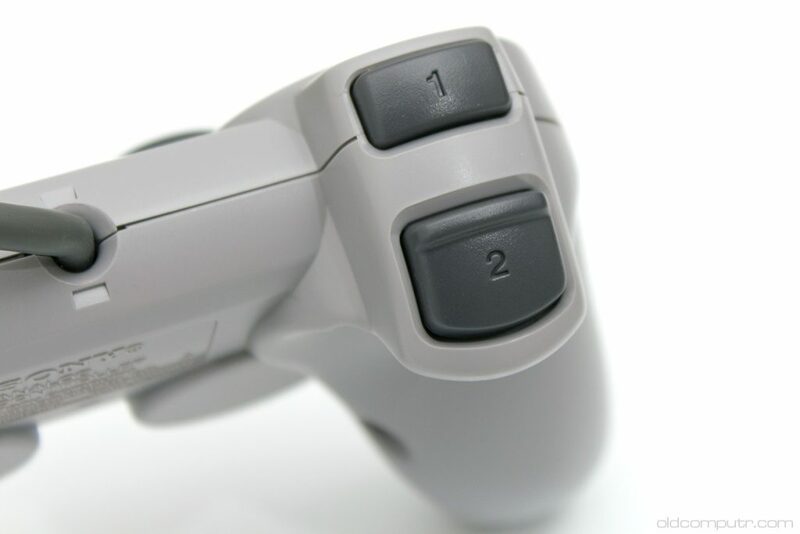 Two additional buttons were added: they were called L3 and R3 and were triggered by pressing the analog sticks. 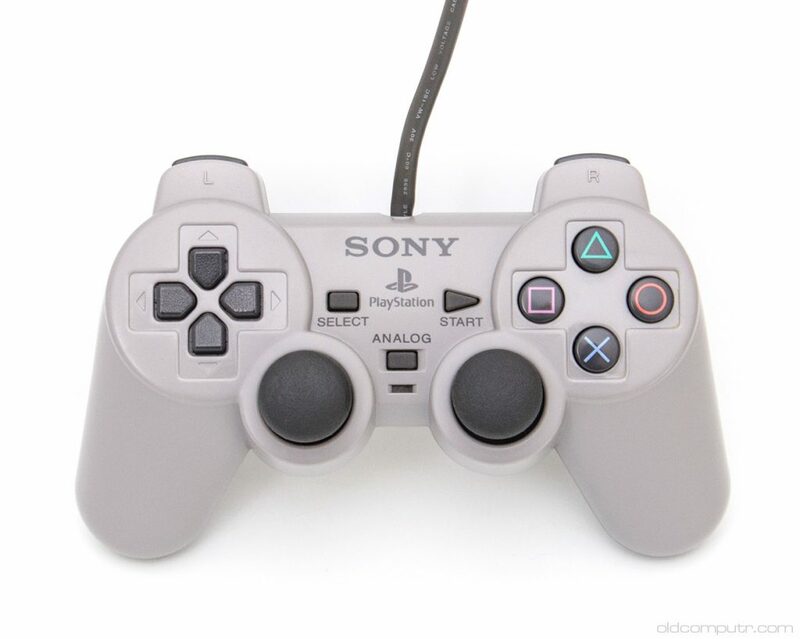 Since Wikipedia says that L3 and R3 were introduced with the following DualShock controller, I took a picture of the small board of my Dual Analog (I have the SCPH-1180). 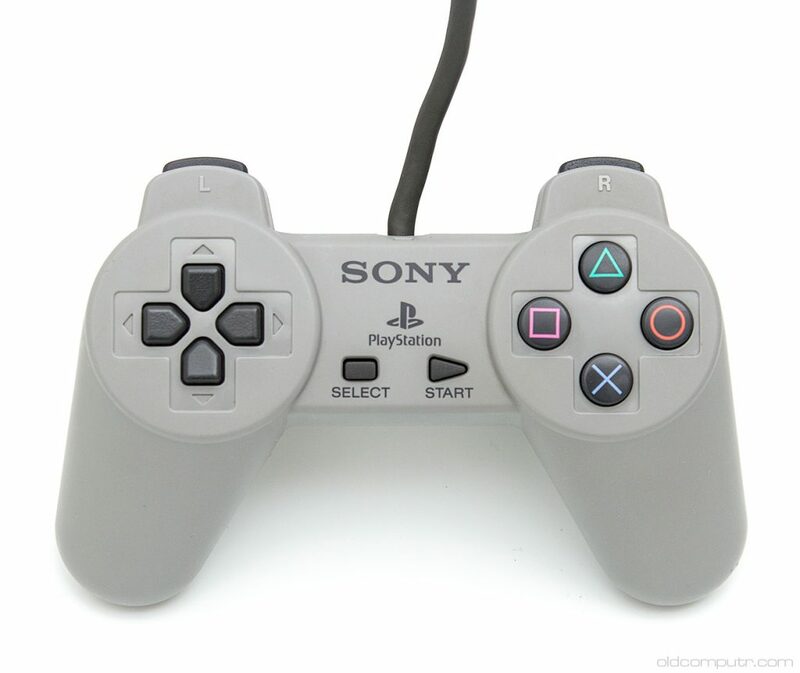 The last revision of the PlayStation controller (SCPH-1200) was released in Japan in late 1997 and worldwide in 1998. The Analog Joystick compatibility mode was dropped, and there were some minor changes in the controller design: shorter hand grips, a recessed analog button, flat L2 and R2 buttons. The vibration function was present in all models.